NT Connect has brought the market leading Ultimaker brand to the Territory. Ultimaker 3D Printers represent the pinnacle of design and innovation inside the 3D printing space. 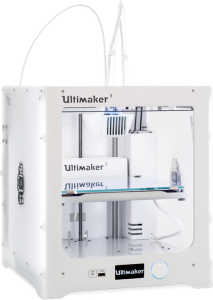 Market leaders for years, Ultimaker has focused on smoothing and refining their already fantastic products, creating an easy to use interface, excellent software, and a machine reliability second to none. For years 3D printers have existed as a hobbyist game. 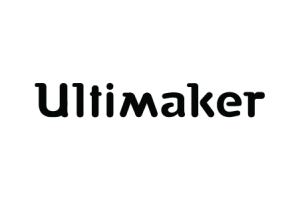 Ultimaker’s printers have taken 3D printers out of the hobbyist space by enabling customers to print production ready products, prototypes, and engineering grade materials. 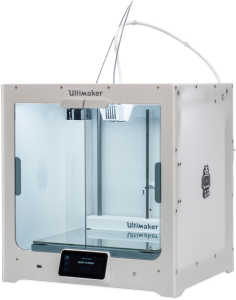 Ultimaker represents the industry grade standard for organisations looking to push into the 3D market. 3D Printing traditionally started with a plastic called PLA (Poly lactic Acid). Biodegradable and easy to print, PLA shot the 3D printing scene forward and is still used today for most prints like models, draft prints, or low strength applications. Ultimaker 3D Printers allow the use of prototype grade materials to be used instead of PLA, which cannot be used in all applications due to the nature of its physical properties. As an example, this gear is made from printed Nylon designed in our office and printed on an Ultimaker 3D printer. 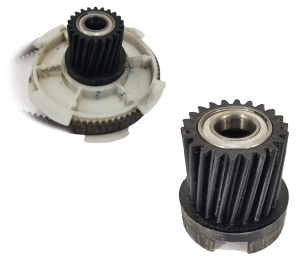 The original bearings are used, as an example of the dimensional stability of Nylon. This part is now used in a production machine, saving the customer downtime and money on expensive and unattainable parts. Contact us today to find out more about this design. 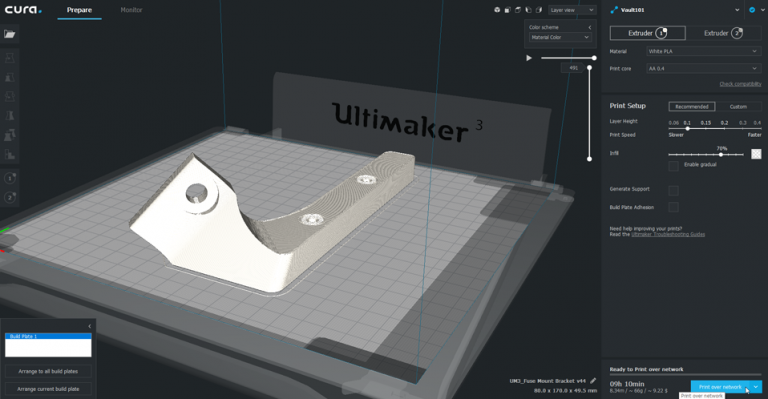 Ultimaker develop their own slicing software for the Ultimaker 3D Printers, Cura. Cura is a free slicing program provided by Ultimaker to begin the printing process for all 3D prints.The slicer slices the 3D design file into layers that the 3D printer can understand. You can control print quality, speed, temperature, infill density, support structure, adhesion settings, cooling and much much more. Cura also ships with a feature called Cura Connect. This allows you to group Ultimaker printers together, acting as a giant queue for all your print jobs. You simply send the print job to the queue and the printer with the correct filament will start the print. No need to constantly remember which print has what materials. Contact us today to find out more about Cura. You found us, but you where looking for phones? Please visit ntco.com.au for our telecommunications products.